We have an update on the upcoming WhiskyLive Boston: They’re now up to over 170 whiskies for sampling! And there will be a Bier Garten sponsored by Samuel Adams, appropriately enough. 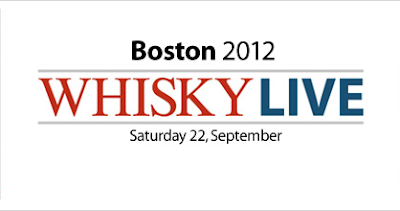 See our previous post on it or the WhiskyLive site for more details (or both! Live a little!). Also, The Malt Impostor is very pleased to announce that all three of the Impostors will be there for the Boston event, and the event last year in NYC was utterly fantastic, so we can recommend you join us for the experience. To help facilitate that very thing, we here at the Malt Impostor are very pleased to offer our readers a promotional code good for a 10% discount on their ticket prices to the Boston event. To get the discount, you must hit the red “Redeem Voucher” button on the Checkout page and type in the word “impostor” (without the quotes–and be careful, as the code is case-sensitive). Hot damn! We love throwin’ out some savings to our readers! Hope to see you at an event soon–we’ll be the ones wearing Groucho Marx glasses. If you see us, stop us and say hi! Enjoy and slàinte!